It covers nearly 150 industries. The majority of your target audience, employees and prospective talents are already on LinkedIn. In order to establish a dialogue between your company and all these stakeholders, you need to build a relevant Company Page. 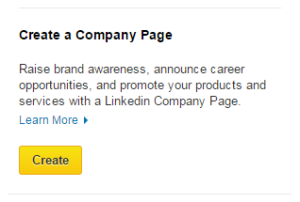 In order to create a Company Page, LinkedIn has a series of requirements that your personal account has to meet. After you go through every item on that list, hover on the Interests section on your personal profile and select Companies. You’ll be prompted to a new webpage, where you’ll find a link to Create a Company Page, on your right. At this early stage, there’s no need to worry about what you’re going to post. Keep building the sections of the page one by one, following the guidelines. You’ll think about updates and posting frequency later. User queries can prompt LinkedIn’s internal search engine to display your Company Page as a result, based on the keywords that best define your business. Place the keywords that you want your Company Page to rank for in the Description and Specialties sections, while making sure that you communicate clearly and concisely what your company does and what makes it unique. Pay special attention to the first two lines of the Description. They’re your best chance at grabbing your visitors’ attention so that they click “See more” and discover what you’re really great at! One very nice item of your company overview is the cover image. Use it as an opportunity to highlight your brand or a piece of news that will turn your page’s visitors into followers. Are you launching a new product or services? Has your business been recognized in your industry? Has your page reached a new milestone in terms of followers? Even though it’s a professional page, it doesn’t have to be stiff! Feel free to use eye-catching images and compelling text to bring your page to life through the image and illustrate your company’s accomplishments. If there are different business lines, initiatives, or products that you’d like to make known, create a Showcase Page for each of them. These pages are extensions of your company’s page, that can focus on specific topics, each of them with their own message and target audience. Take advantage of this tool to start building relationships and engage more effectively with the specific audiences targeted by different areas of your business. Once you’ve established your presence on LinkedIn, you can start building relationships with the people interested in your business by converting them into followers. Without a critical mass of page followers, your page updates won’t have the desired impact. 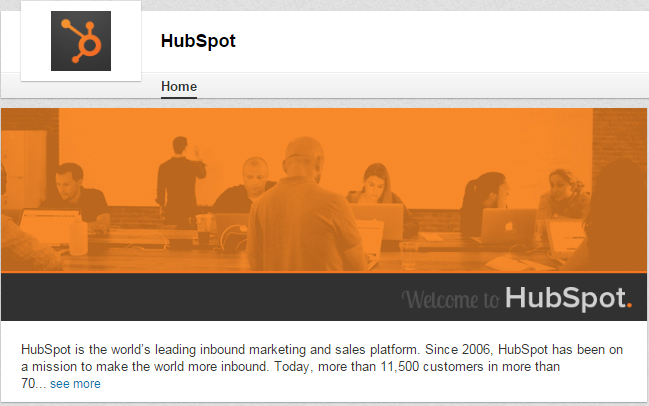 Add a “Follow” button to your website and other channels. Before you start creating your first company updates, remember this: people tune out irrelevant messages and promotions. Instead, they are actively looking for valuable information to help them in their decision processes or stay on top of industry news. Your company updates should be crafted to meet your audience’s needs. 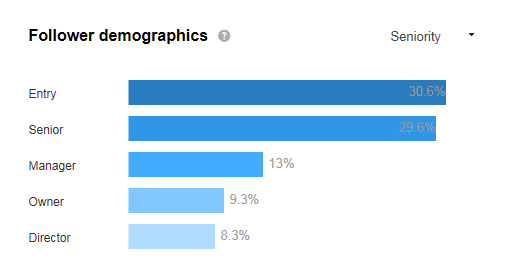 So ask yourself this: What are my followers interested in? Company news, industry articles, pieces of thought leadership? Start your posting plan with a researched answer to this question. Sponsor your best pieces of content to reach the desired audience beyond your page followers. Don’t forget about Showcase Pages! Taylor your Company Updates to engage with the particular audience you’re targeting. How often is another question you’ll ask yourself at this stage. For the beginning, one company update per day is a good start; later on, based on your goals and the data you’ll collect in the analytics section, you’ll be able to make informed decision regarding the optimum posting frequency for your company page. 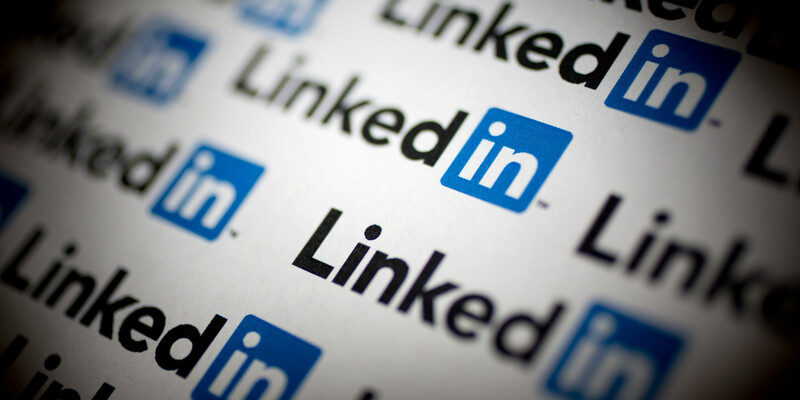 Your business needs the experience and abilities of a great team in order to grow and LinkedIn offers you the possibility to easily connect with the right candidates. You can find and access the talents you need through the variety of tools LinkedIn has made available. From simply posting jobs, to building and communicating your employer brand on your Careers Page, the investment on your side will differ based on the talent solution you choose and the geographical location. Whatever tool you choose to use, remember that the Company Page must be the center of your all actions. After all, it’s where potential candidates will land to learn more about your business. Having in mind the results you want to achieve through your actions on the Company Page, it’s essential that you regularly analyze the data under the Analytics Tab of your page. LinkedIn provides Company Page administrators with a series of metrics and trends split in different categories. This will help you gain insight on how your Company Updates have performed, how well you’re engaging with your target audience based on data and demographics about your followers and what your visitor profile looks like. Knowing how your page performs will help you take informed decisions for your future actions and drive the results you’re targeting. Creating a great LinkedIn Company Page isn’t a one-time task; it requires constant effort, but the benefits will pay off. Interested in some inspiring examples of Linkedin Company Pages?